English £5 coin. You can't see it in this photo, but it's got ridges around the edge. Most coins minted in the world today are round. This is how it’s been for most of history. But if you look at the edges of most coins of most countries today, you might have noticed they’re covered with even ridges. The ridges don’t seem to add much to the aesthetic appeal of the coins, but they persist on every one of them. But why are they there? If you’ve noticed the ridges, you might have noticed that in the countries where they’re used, they don’t appear on every coin. 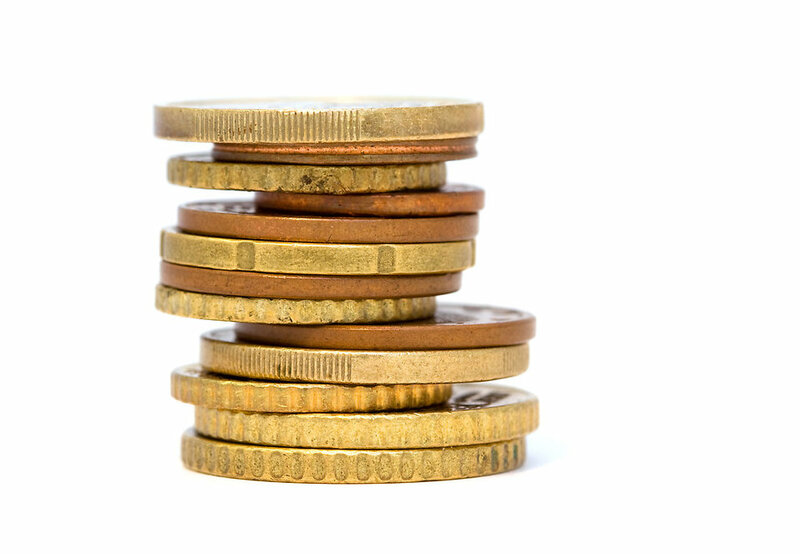 In the United States, the two lowest denominated coins—the penny and the nickel—don’t have ridges. (The nickel’s five-cent predecessor, the half dime, which was minted until 1883, did have ridges. The penny never did.) This is no accident. The ridges appear on the edges of the larger coins to prevent an ancient problem: shaving. Coins have long been made of various metals like copper, nickel, tin, lead, iron and magnesium, to name a few, but the really valuable ones were traditionally made of silver or gold. The value of specie currency (currency not made from precious metals) was typically tied to a fixed number of silver or gold pieces. Silver and gold, however, were accepted by all other countries as having value, so if you were in ancient Rome and had only Persian silver pieces on you, you didn’t need to find a local bank to convert your currency: your money was good anywhere in Rome. Fourth century CE Roman coin found in England. Note the irregular size, due to clipping and/or shaving. The weight of your silver and gold pieces was what made them valuable. Governments issued these coins, putting their official imprimaturs on them. (Coins struck in ancient times, in Rome and Egypt and Mesopotamia, were still commonly circulating as late as the 19th century CE.) There was often writing around the outer edges of the faces of the coins to let you know what monarch stood behind the value of the metal in the money. Sometimes there was just a design. The words or the design did more than merely make the coins look pretty. They also let you know if the coin had been tampered with. The tampering was often done by processes known as clipping and shaving. Clipping coins involved cutting pieces of the silver or gold off of their edges; shaving involved scraping the metal off as dust. The end result was the same: small piles of precious metal taken from coins. This might not seem like much, but if you shave a large number of coins, it can really add up. This could be a real problem. In the 17th century, England decided that clipped and shaved coins had to be dealt with. In 1696, Queen Anne appointed Sir Isaac Newton (yes, the scientist) as Warden of the Mint. As Warden, Newton was given the job of promoting a new innovation called milling on English coinage. Milling was a new process replacing England's old hammer-minted coins with ones made in a mill, on a machine. These machines installed ridges all around the edges of the coins. The benefit was that if the ridges were missing, it would be immediately apparent that someone had clipped or shaved the coin. It was a brilliant innovation. 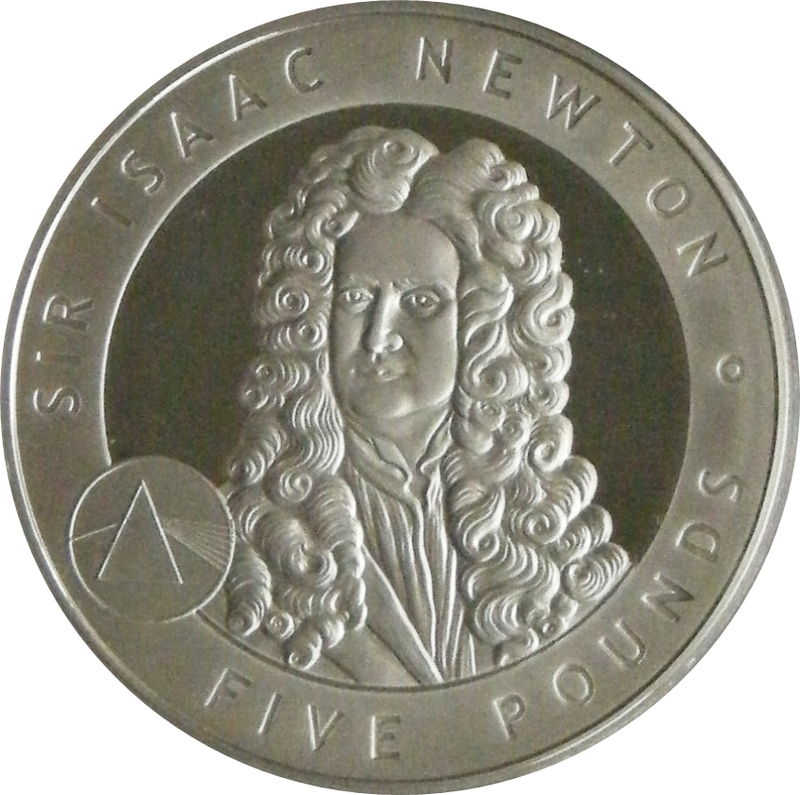 Newton didn't come up with it, but he did oversee the recall and replacement of all of England's old coins with new milled ones. He completed the task by 1698, less than two years' time. Not all coins had ridges. Some had letters, which accomplished the same purpose. Pennies and other coins that weren't made of precious metals also didn't have ridges. A stack of modern euro coins. Note the different styles of milling on the edges. Newton set the standard. Milled coins were soon adopted by many other countries to prevent clipping and shaving of their silver and gold. To this day, most coins are milled. In some countries, like the United States, this seems to be done more out of habit, since the United States ceased issuing pure gold coins in 1933 and pure silver coins in 1964. No one is going to clip an American quarter, because the nickel and copper you would get from the process wouldn't be worth the trouble. Milling does serve a purpose in modern times, in some countries. Euro coins and Australian coins have distinct patterns to the milling, making them easy for the visually impaired to distinguish.